Explanation: How did this unusual Martian rock form? The atypical two-toned rock, visible in the lower right of the above image, was photographed a few days ago by the robotic Spirit rover currently rolling across Mars. For now, the environmental processes that created the rock remain a matter of speculation. 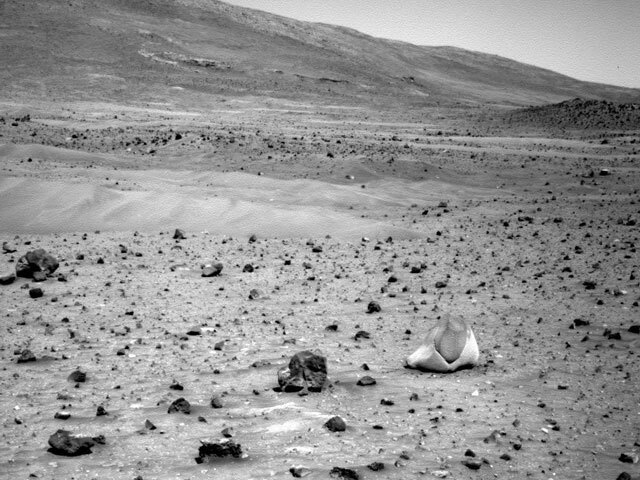 Finding unusual rocks is not unusual for Spirit or its twin rover Opportunity, however. 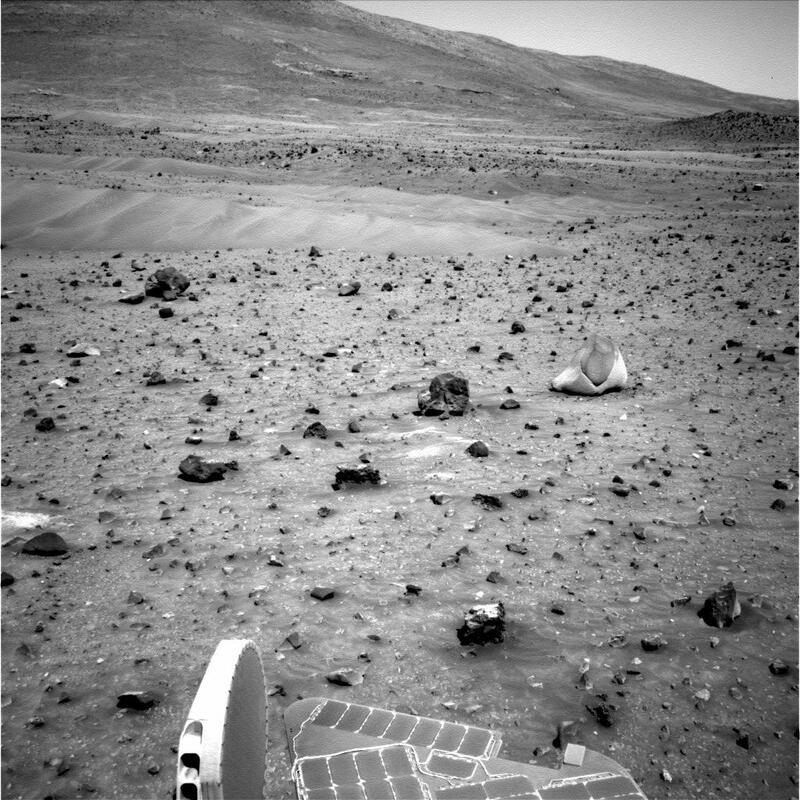 Over the past two years, for example, the rovers have unexpectedly discovered very small gray pebbles dubbed blueberries, and a rock out in the middle of nowhere now thought to be a meteorite. Having investigated alien terrain and having found clear evidence that part of Mars had a wet past, the Earth-launched Martian rovers are now entering their third spectacular year exploring the red planet.